A three-year-old boy has been attacked in Worcester, and police are looking for three men in relation to the situation. The young boy was in Home Bargains yesterday afternoon (21 July) at around 2:15 when he was attacked with what is suspected to have been acid. 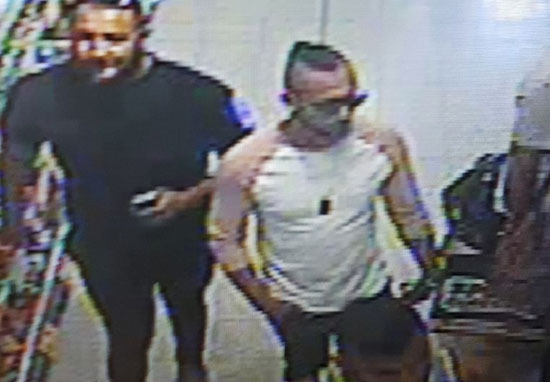 Police believe the three-year-old was deliberately targeted, and have released images of the three men they are looking to speak to in relation to the attack. They are thought to have ‘vital’ information. The boy was seriously injured at Shrub Hill Retail Park at Tallow Hill, and has been taken to hospital where he is being treated for serious burns on his arms and face. A 39-year-old man has already been arrested on suspicion of conspiracy to commit grievous bodily harm. He is being held in police custody. West Mercia Police tweeted about the attack today, asking for anyone with information to come forward. Do you recognise these men? We’d like to speak to them after a 3-year-old was injured in a suspected acid attack in Worcester. At this time we are treating this as a deliberate attack on a three-year-old boy. The incident will rightly shock the local community and I would like to reassure local people that we are carrying out a thorough investigation to identify those responsible. At this time, the motive for the attack is unclear. Officers are working hard to establish exactly what happened and what the substance involved was. The three men in the photo may have information vital to our investigation. I am sure someone will recognise them and I would urge anyone with information to contact us as a matter of urgency. The MP for Worcester, Robin Walker, has also tweeted about the incident and appealed for people to assist the police where they can. Appalling attack. My first thoughts are with the family of this child & medics providing urgent care but vital that the public support the police to bring this investigation to a successful conclusion as quickly as possible. The shock will be universal, anyone conducting such an attack on a small child is just appalling. It’s an issue which rightly there has been a lot of concern [over] in parliament and a move to toughen sentences for any kind of acid attack. But particularly the nature of this being a small child is very concerning indeed. At this stage the key thing is for the police to act quickly and see if they can track down the perpetrator and understand what’s behind it because it is an unthinkable thing to happen. The West Mercia Police wesbite states that anyone with information that could be useful to the police should call 999 quoting incident 442s of 21 July 2018.